Photographer Nicolas Claris and videographer Romain Claris are known for their work in the world of yachting and Bordeaux vineyards. Today, they invite us to see, in a dedicated space of 75 sqm, a surprising glimpse of the world of BLACKS. For us they unveil colors, lights and materials masterfully highlighted by the BLACKS.... By associating the imaginary and the real, with the light as a brush, they play, dream, search. They drill holes for the light, to move us elsewhere, in a world that everyone can conceive according to one's own dreams and imaginations. Martinique and the West Indies were waiting ... it will be done in May. The first "MARTINIQUE BOAT SHOW" will be held from 16 to 19 May 2019 on the marina of Etang Z'Abricots - Fort-de-France, Martinique. Art Exhibition for the 10th Edition! Exhibition. Ingrid .B, a self-taught painter, invites the viewer to join her in her colorful universe. sequins and posca to create sparkling compositions with soft shapes that give her works a warm atmosphere. its new creations rocked by the siren song. Privilège presents the first hybrid sailing catamaran! Online ticketing is now open! Do not wait, online ticketing is now open! And it's FREE for students and under-16 years-old. Soon, the lists of boats and exhibitors will be unveiled! YACHTING WORLD renews their partnership! Yachting World are once again proud to be media partner with the International Multihull Boat Show 2019 for this special 10th anniversary show. They continue to support the fast growing multihull sector with our Yachting World Multihull supplements, which exist in print and online and showcase the latest models. Content includes new designs, tests, profiles and cruising articles. Yachting World reaches over 520,000 ocean-going sailors around the world and boasts over 18 million video views on YouTube. They look forward to seeing you in April! Press Conference at Dusseldorf ! The M2Organization team gathered this morning the journalists in Düsseldorf to present the 10th edition of the show. Thank you to all the journalists who came in large numbers! All the M2Organisation team wishes you a beautiful Multihull year ! The Pre-owned Multihull Boat Show", 4 days to find the good deal! It's a real bet, on the way to being won, that the organizers of the "The Pre-owned Multihull" show launched ... with the thirties of multihulls, from 30 to 70 feet, exhibited, in the port of Canet en Roussillon. This innovative event, born in 2014, is now setting up in the nautical landscape; it is ready and able to meet the expectations of the multihull industry. This euphoria of new multihulls generates a pre-owned multihull offer more and more important ... the show of Canet-en-Roussillon is certainly "the reference" for the market. Election of the Multihull of the Year: the list of nominees unveiled! You have been more than 10,000 voters, for the first election of the Multihull of the Year 2018. For this second edition, the journalists of Multihulls Mag and Multihulls World as well as the organizers of the International Multihulls Show, met to select the 2019 nominees. 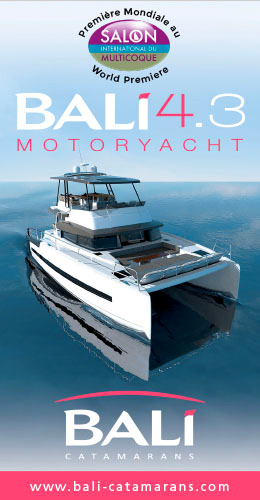 This year again, find all the international multihulls news. Sporty, cozy, futuristic ... Vote for YOUR multihull of the year by clicking here! 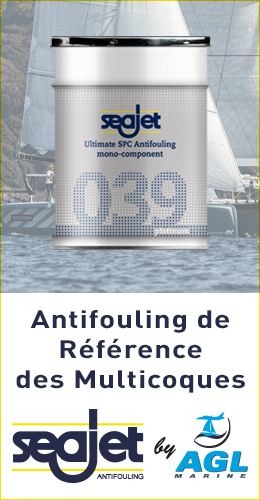 Buy or sell your multihull: now is your chance! The Pre-owned Multihull boat show - the reference to sell or buy its second-hand multihull – comes back from October 18 to 21, 2018! Unique, the show will host several dozen boats afloat and an exhibitor village gathering equipment manufacturers and service companies. After the success of the third edition, our team will be present at this show 100% multihull ! The exclusive pictures of the Multihull Of The Year price giving ceremony! On April 19th was held the award ceremony of the first “Multihull Of The Year” election organized by Multihull World Magazine in partnership with the International Multihull Boat Show. The winners that magazine readers chose to elect in each category were revealed at this ceremony. Discover the video and relive this warm moment by clicking here. The list of Nominees for the “Multihull Of The Year” 2019 will be releaved at the opening day of the Annapolis Boat Show on October 4, 2018. 5 days 100% multihull ! 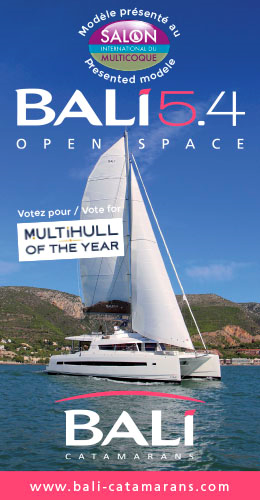 - The results of the Multihull of the Year election by Multicoques Magazine were unveiled ... result on our Facebook page! The election was followed by a tasting of wines and oysters and meeting with winemakers and oyster farmers "vinifilles" organized by Hérault tourism. - The show hosted on Friday the6th seminar of the MARINE AND INLAND WATERWAYS SURVEYOR’S EUROPEAN COLLEGE with the subject ‘”Raisons of choosing multihulls” and the annual congress of International Marine Accredited Surveyors Association. At the end of the day, the baptism of Outremer 4X took place on the Outremer stand,the boat will participate in the next Route de Rhum. 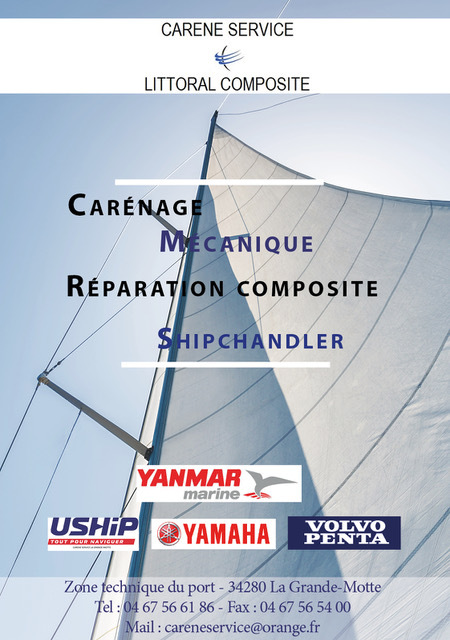 Rendez-vous from 24 to 28 April 2019 with even more boats, equipment suppliers ... to blow together the 10 candles of the show! - Fountaine Pajot unveiled the name of NEW 42 which is now called "Astréa"
See you tomorrow for new multi-adventures !! A first for Green Yachting! 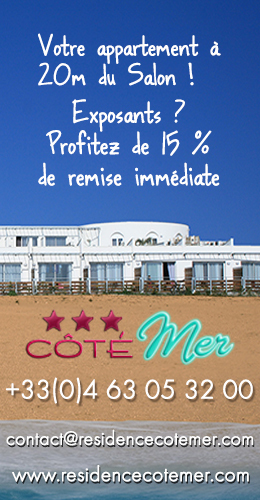 Green Yachting has chosen La Grande Motte to launch its brand new range of innovative solar powered water heaters. They are experienced yachties and their products are all the consequence of their own experiences. Convinced of the importance of being « green » in all they do, Green Yachting is the new name to remember for environmentally friendly products for the yachting industry. Come and visit their stand #E26. YACHTING WORLD has become a media Partner for the International Multihull Boat Show for the first time! YACHTING WORLD has become a media Partner for the International Multihull Boat Show for the first time! Yachting World published its first Multihull Special Supplement in January 2018 and is looking forward to publishing its second supplement in the August 2018 issue. We welcome Yachting World to the Multihull family! Scoop from Fountaine Pajot shipyard …the NEW 42 will be presented in World Premiere ! To the occasion of the Multihull boat Show at La Grande Motte, Fountaine Pajot exhibits the New 42. Like for the Saona 47 last year, the shipyard will reveal her name the opening day. This new unit will make the Fountaine Pajot Sailing Catamarans range stronger with 7 models: the Lucia 40, the New 42, the Helia 44 evolution, the Saona 47, the Saba 50, the Ipanema 58 and the New 67. This new model boasts all the Fountaine Pajot Sailing Catamarans range assets with the DNA of the Yard, performance and elegance. The new shipyard Itare Catamaran chooses La Grande-Motte to present its first boat's demo! The new brand ITACATAMARAN will present the ITA14.99. Very concerned by Ecological problematic and especially by Sea environement, the shipyard is surrounded by partners who share their philosophy. Thus, the ITA14.99 # 1 will be the first boat to have the new ServoProp developed by Oceanvolt (patented system and winner of the price DAME). This 15-foot will also be equipped with a carbon mast of the Lorima brand, also a faithful partner of the International Multihull Boat Show. A well equipped catamaran, not to be missed !! Dragonfly, they come back on the show! Built by the Quorning Boats shipyard, the famous brand DRAGONFLY will be represented by the new and friendly Hellomulti team. They will come accompanied with the Dragonfly 28 provided with - like every boat in the range - the Swing Wing innovation. The Swing Wing offers the opportunity of reducing the width of the boat in half and docking at a monohull berth. All the M2Organisation team wishes you a great Multihull year!